Each fonyo Edition has HUD free with it to support the all-in-one employee presence and communication management application. Through a single interface, you get real-time visibility and information on all employees of the organization. This is your new operator and it is integrated with Outlook. Moreover, HUD increases employee productivity, enhances effectiveness in business communications, adds in affordability in creating distributed agent-based organizations, helps management in tracking and training employees and facilitates professional interactions with the customers. HUD offers one-touch control and provides easy access to people through click to call, enterprise chat, drag and drop call transfer and click to email. fonyo Call Center Edition and HUD work together to organize a distributed inbound and outbound call center with call barging, on-the-fly recording, queue status and more. fonyo SE comes standard with HUDlite, and fonyo EE and CCE come standard with HUD Pro. fonyo offers VoIP-users a PSTN or ISDN back-up if there is internet service interruption. Virtual PBX products offer no PSTN back-up, so in case your internet service goes down (without any guaranteed uptime); your business telephone also goes down with it – which of course you don’t want in a challenging business environment. PSTN-Fallback is automatic. fonyo detects poor (or zero) Internet quality and immediately steps your system into PSTN or ISDN mode. Note: fonyo runs in PSTN or ISDN-only mode if desired. No VoIP required! 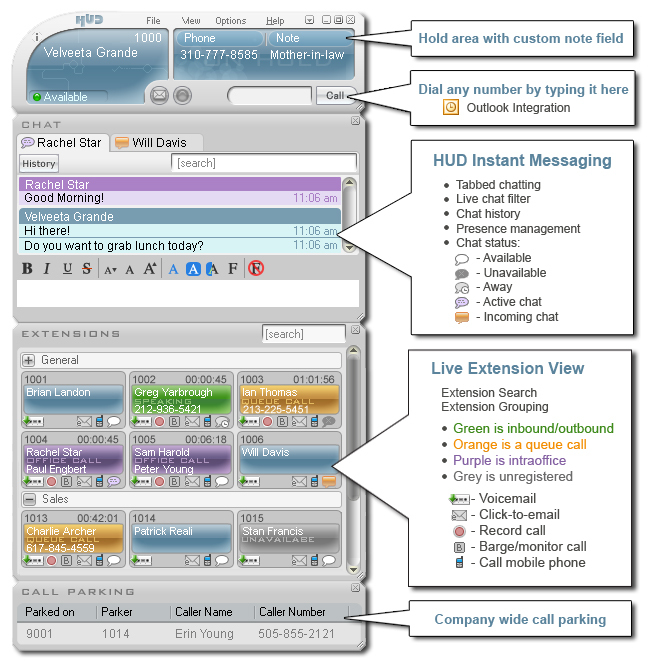 A user-panel for employees – allows the employees to manage their personal configurations, including enabling call forwarding, listen to voicemail, and click to call people back from around the world. Conference bridges are simply affordable today but fonyo comes pre-configured with conference bridges for free! A fonyo conference bridge supports an unlimited number of internal participants along with various external participants too. With HUD, you can have a quick view of who in your company is speaking on a conference bridge! The fonyo Auto-Attendant lets callers “Press 1 for Support” or “Press 2 for Sales.” This feature is very user-friendly and powerful. With simple mouse clicks, you can easily manage the calls flows, forward calls off-site, build scheduled responses and more. Inbound calling: when the phone rings, the Caller ID is analysed against your Outlook contacts. In the case of the match found, the person’s name pops up on screen. Call from you inbox: Right-click on a contact or email message to call. Your phone rings and you are connected! 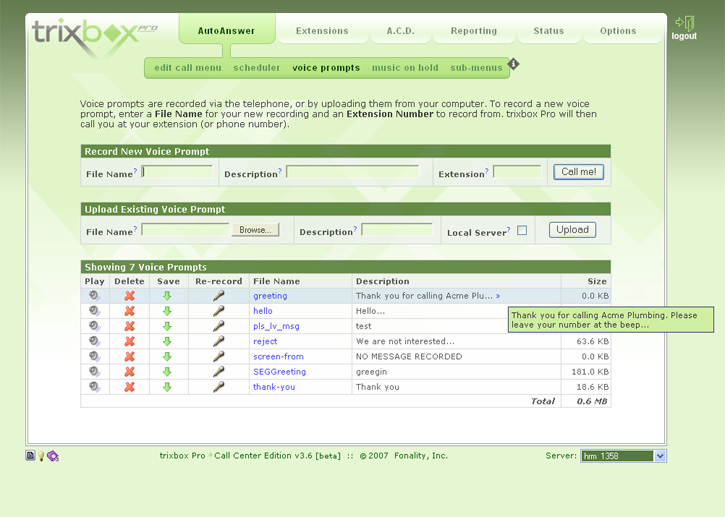 fonyoPro Web Admin Panel allows you analysis of real-time call logs for all the extensions with the use of powerful search and filter parameters. fonyo also offers real-time billing (available for VoIP network users) so that at any point of time, customers can see a snapshot of their expenditure company-wide on telephone calls. 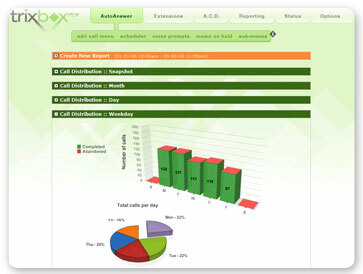 fonyo Web User Panel helps the individual users to look at their call logs and return calls with even a mouse click! ITSec® offers you the best of open source communication solutions, fonyo by Fonality. fonyo is based on Fonality’s IP-PBX solution proven to be the best, known to be deployed on thousands of business sites across the world. ITSec is the certified fonyoengineer giving you professional and quality fonyopbx products and service. ITSec being fonyo resellers in the UK are your fonyoconsultants in the market to give your organization a competitive edge within your budget at guaranteed quality. fonyo is the only hybrid-hosted telephony solution within a business phone system in the market. Its professional service and support organization, Anywhere Management™, around-the-clock proactive monitoring, complete phone mobility, automatic software updates, regular configuration backups, fonyo is all set to change the face of Open Source telephony forever. The fonyo phone system is a money-saving formula, saving around 40-80% of your budget as compared to ISDN and traditional PSTN systems. It saves your money in installation, maintenance, conference calls, intra-office calling, business expansion and other activities. Regardless of your professional size, your professional impression is important. The fonyo phone system includes enterprise-class features such as auto-attendants, voicemail-to-email, to the full call center functionality. fonyo increases employee productivity with Outlook, CRM integration, built-in mobility features, instant telecommuting, instant messaging, drag and drop calling and more. ITSec is an authorized reseller of the fonyo phone system. The technical team supports around-the-clock help with installation, configuration, networking, and troubleshooting problems. The 247 support is based on an hourly basis or for a low annual subscription. fonyo SE is a hybrid-hosted telephony solution based on Asterisk® improving the reliability and scalability with up to 500 users per site, depending on the hardware used. 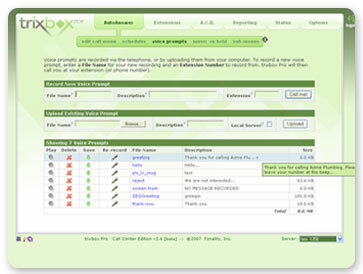 Along with the usual fare of Aestrisk features, this edition offers you easy user interface, click-to-call, web-based voicemail, powerful exportable reporting, mouse-driven operator panel, real-time resource graphs, integrated HUDlite, system updates, Outlook integration, seamless VoIP trunking, simplified co-branding, auto-card configuring and more. fonyo Enterprise Edition includes all the Standard Edition features. Furthermore, it also offers different auto-attendants, intercom with the group and individual, full reseller re-branding capabilities, paging, conference bridges, group permissions and more. 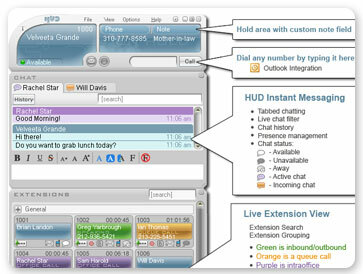 This edition is also offered standard with HUD Pro adding presence management, drag and drop call control, private enterprise chat, interactive desktop alerts and more. fonyo Call Center Edition, our lead product, offers advanced call center capabilities at extremely affordable prices. This edition is specifically designed for companies with 2-50 customer service or sales agents. fonyo Call Center Edition adds robust ACD capabilities with unlimited queues and skills-based routing, call barging, call recording, detailed graphical reporting, monitoring and more. fonyo Edition offers FREE HUD. 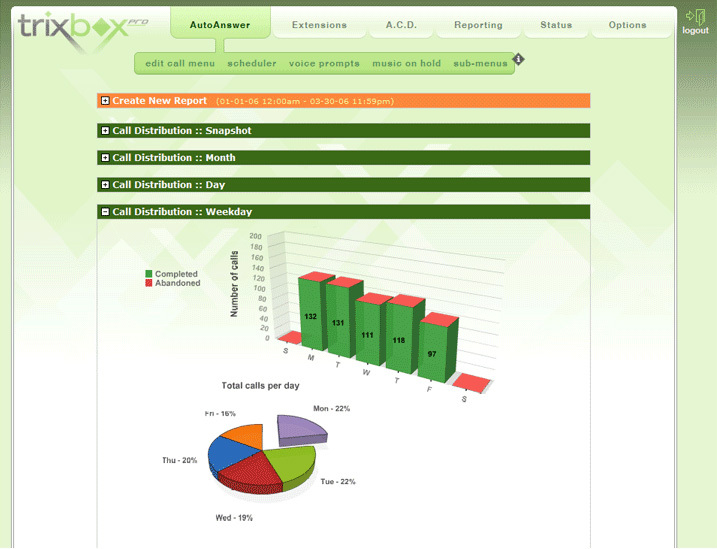 It is the all-in-one employee presence and communication management application. Operating via a single interface, it offers real-time visibility sharing all the information of all the employees within the organization. It has been specifically developed to integrate with Outlook. HUD enhances the effectiveness of your business communication, employee productivity, creating affordable options to distributed agent-based organizations, helping out managers with employee training and facilitating professional interactions with customers. HUD enables private enterprise chat giving staff an easy access to clients, one-touch control, click to call, click to email and drag and drop call transfer. fonyo Call Center Edition and HUD go hand-in-hand to deploy a distributed outbound and inbound call center with queue status, call barging, on-the-fly recording and more. Get your fonyo Phone System from us today!